Okay so i went to London Film and Comic Con which was on at Earls Court Exhibition Centre in London on 12th and 13 of July. there were some interesting talks that i wanted to go to about blogging and fans but ah well i wasn’t too bothered. i saw loads of cool cosplayers…Marceline from Adventure Time, Effie Trinket, Blossom from the PPG, loads of superheroes and characters from TV shows/movies. saw lots of Elsas and Annas and i saw someone as Hans and i said ‘no one likes you’…i don’t think he heard though lol. there were loads of authors on the first day. the queue for Rainbow Rowell was totes cray cray but i wasn’t bothered coz i was gonna se eher on Monday at Waterstones. also the queue for Malorie Blackman but i have met her before so yeah. 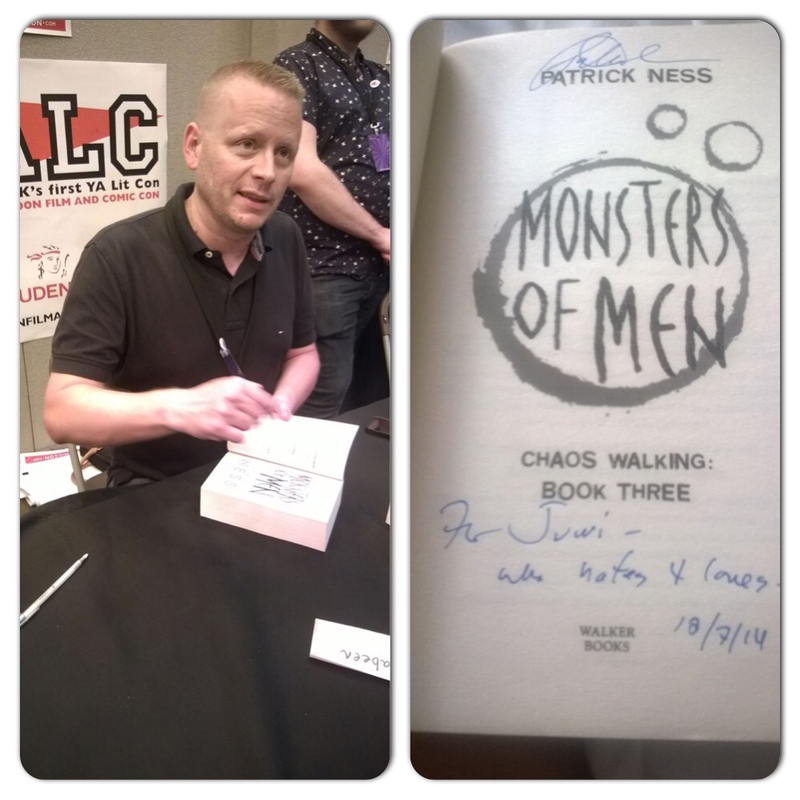 BECAUSE I WAST SUPPOSED TO MEET HIM LAST YEAR AT WATERSTONES BUT I GOT THE DATE WRONG AND SAT THERE CRYING COZ I DIDN’T GET TO MEET PATRICK NESS. 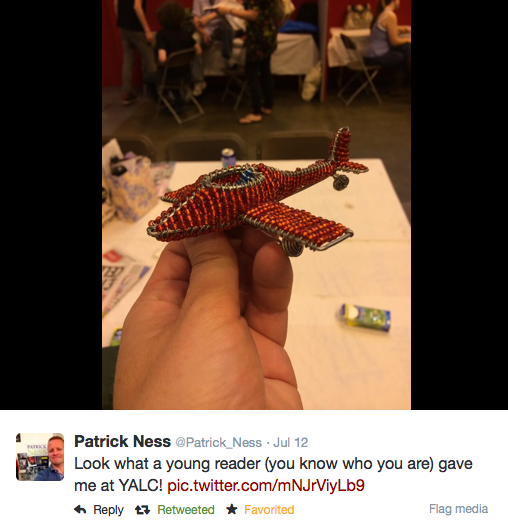 i gave him a little present that i had saved from last year…i love to get authors presents and write them a little letter saying thank you for writing such incredible books that have touched my soul and have changed me forever. it’s just giving them a little something to say thank you for what THEY gave me. and he showed us a picture of HIS NEW KITTY NUNCLE OMG HOW ADORBS. this is what my friend said to him …yes HE DOES IN FACT DRINK THE TEARS OF CHILDREN…IT KEEPS HIM YOUNG. I KNEW IT. 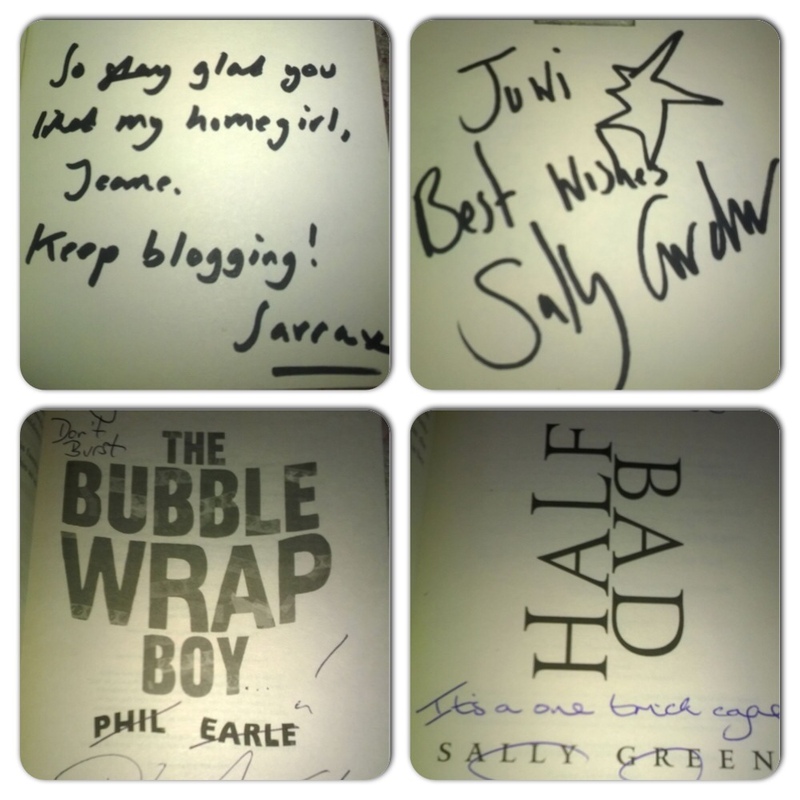 then the next day i also went to YALC coz i really wanted to meet Sally Gardner, Sara Manning, Phil Earle and Sally Green! 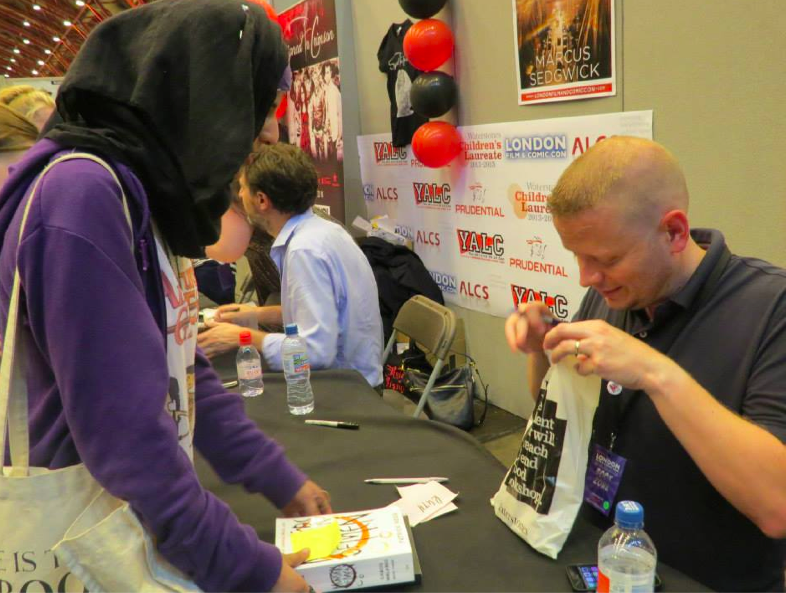 she was so lovey…in fact ALL THE AUTHORS WERE SO NICE AND FRIENDLY and just wonderful. 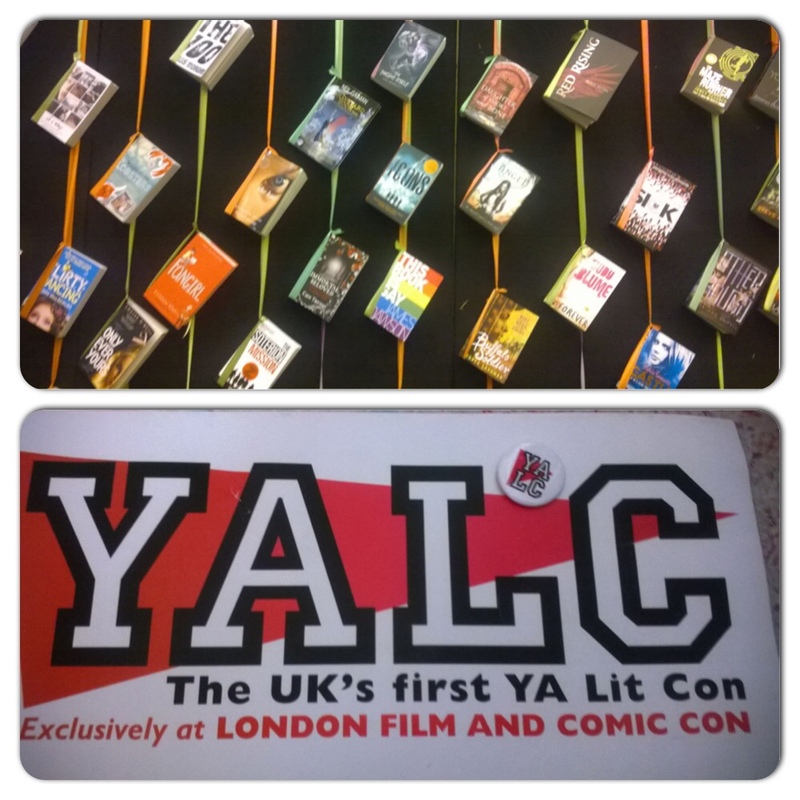 SO THANK YOU MALORIE BLACKMAN FOR ORGANISING YALC AND I REALLY HOPE THERE WILL BE ANOTHER ONE NEXT YEAR. maybe at a different venue so it will be more like BookCon in the US. 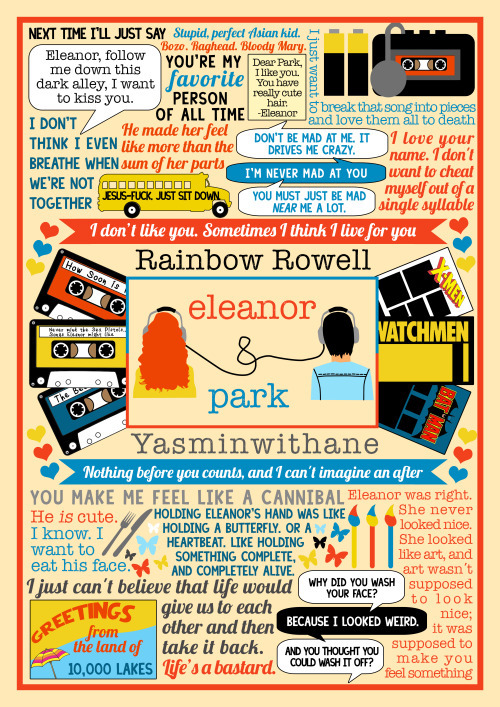 and then I HAD RAINBOW ROWELL TO LOOK FORWARD TO ON MONDAY! 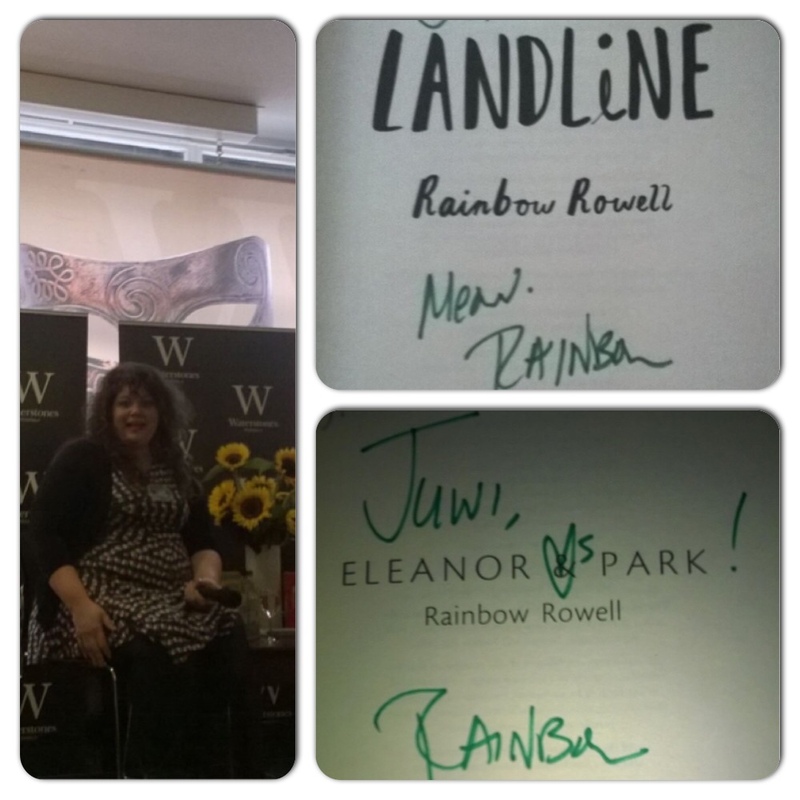 Rainbow Rowell was there too but here queue was so long…anyways i got to meet her at Waterstones Picadilly! so it’s been a wonderful book-filled weekend! the top says it all tbh. and yes that is Palestinian Flag necklace. i also bought Throne of Glass by Sarah J.Mass which is a fantasy novel kind of like Graceling by Kristin Cashore so i am excited to read that. I’ve only read 11 books from my Summer Book Haul…so i will need to catch up on my reviews! Hope you are having a lovely summer or winter wherever you are. it is surprisingly hot in London! Alhamdulilah i am so grateful to be blessed with so much…my love for books, the ability to blog about it and connect with fans all over the world and to meet authors. if you have twitter it’s easy to stay up to date on the latest book news…just follow bloggers or bookshops or publishers! and make sure to check the Waterstones and Foyles Events pages! Anyhew, THANKS for checking out my blog! awesome book collage by my friend yasmine! haha thanks. i will never get over this.